I am 10000000% cheating right now. The last two weeks have been a little hellish in terms of free time. I’ve had a lot of time off, but done a lot of things–Coppélia @ Boston Ballet, Lion King on Broadway, birthday celebrations, my best friend visiting–and so I’ve had very minimal time to do anything creative. I fully intended to write a short story for Mercury this week, and could still do it today, but I had a different idea. I’ve been gaining new followers lately, and I’ve been posting these short stories for a couple weeks now, so I thought it would be fun to do a little about the author post. This promises to be long as you’ll find my history with words from the very beginning, so it definitely crosses the 1000 word mark. All hyperlinks are to either the stories themselves or to the Pinterest board so you can get a taste. Alright, so let’s take this back to the fifth grade. I’ve talked about my reading history here & here. I was a huge reader growing up, and my favorite series was undeniably Harry Potter. I loved the fantasy elements, the idea that there could be magic in this very world that I lived in every day. I desperately wanted to write something like that, so in the fifth grade, I did just that. We had these assignments where we were working on forming sentences, and we had to finish whatever half sentences we’d been given. I did that, and then asked if it was okay if I wrote a small story for them. I was encouraged to do so, and shortly after, had a full series written. All I remember was that it centered around this character named Elizabeth. I think she may have been a princess, and there was definitely magic involved. What I remember more than anything, though, was Mrs. Ryan. She was the one that encouraged me to write more, and when I did, she asked if she could read them. She quickly setup a “meet the author” with the other fifth grade English classes, and I was excused from my science class to talk to her class. I read a little of one of my stories, and there was a short Q&A after. I really can’t remember much of it, just that I was nervous and that, for the first time in my life, I felt like I belonged. I was always sort of the odd one at school, but this? Words? Yes, I thought. Yes, this is exactly what I’m supposed to be doing. And really, all it takes is one person to tell you that you can do it, that you should be doing it. Mrs. Ryan said not only that of course I could write more, but that I should. It is because of her that I’m still writing, and I am forever grateful. 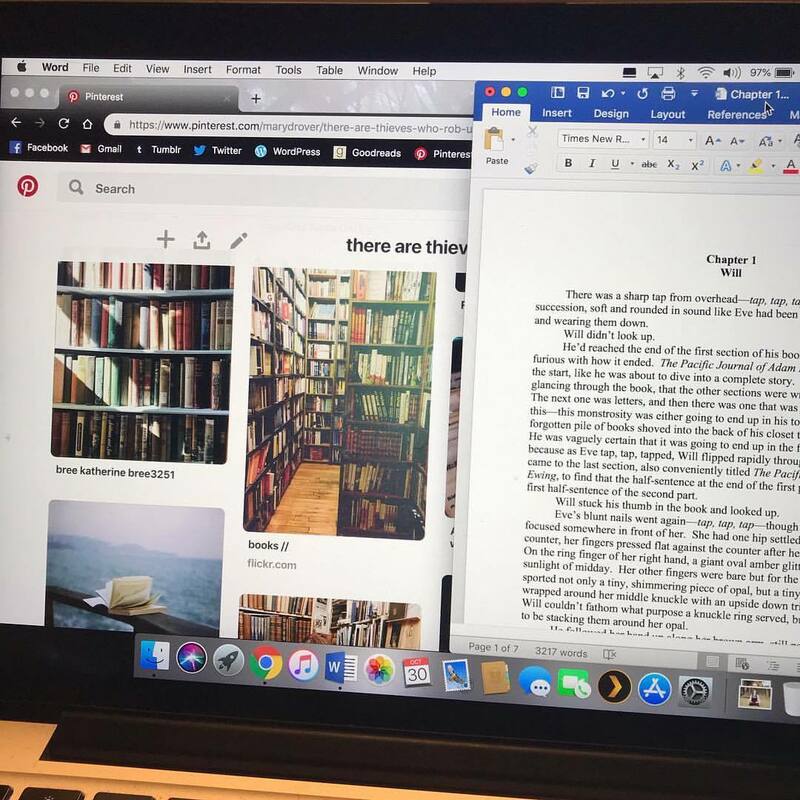 I kept working on the Elizabeth stories until I graduated elementary school, and then, when I started middle school, I discovered something that would take over my writing life for the next decade and a half: fanfiction. And for the first time ever, I’m actually going to share where you can find some (SOME, not all) of my fanfiction. I really have no idea how I discovered fanfiction, but I’m sure in those early days if you were Googling Harry Potter, HPFF was one of the first things to come up. Oh man, HPFF. Those were the days. My author page on HPFF is here, and yes, my username was Padfoot_Prongs, and I am still proud of a lot of those stories. 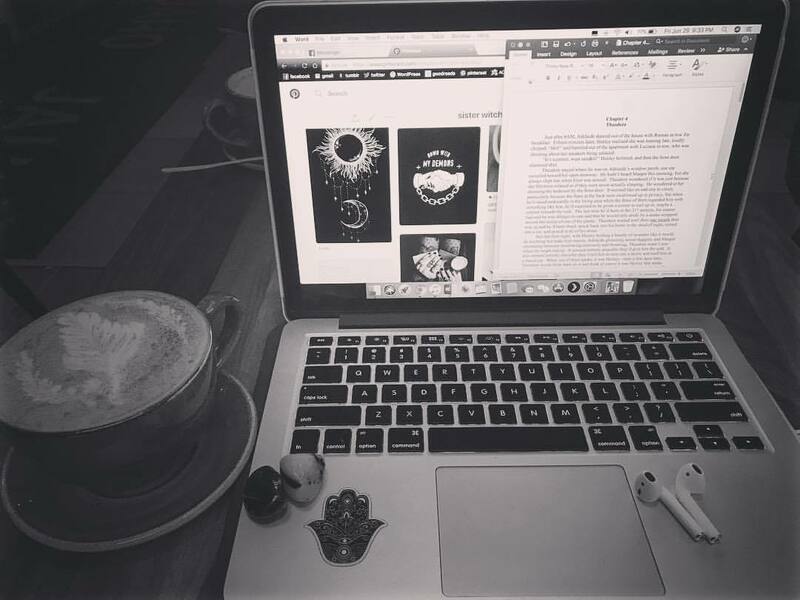 Just a few months ago, I got an email from someone asking if they could print out Grazed Knees, a Dramione that I worked so freaking hard on, just in case they weren’t able to find it online someday. They said that they liked to read it when they were feeling down, and that it was a place of comfort for them. Which, wow. I’m not going to get over that for a long time. I’m looking back at my HPFF page right now and just sighing with happiness. This site is one of my fondest memories. I used to spend all of my time on there and TDA, where they made banners and chapter images. Ugh, it was so good. Harry Potter fanfiction is, truly, where it all began. You’ll notice, however, a small gap. I became a member of HPFF in 2004, but my first posted story is in 2007. There are three very long, very awful stories that I wrote that were long ago removed. In fact, I believe the only copies were purged several years ago, and they no longer exist, thank god. I mostly wrote Marauders fics, but my favorite Harry Potter era pairing was Draco/Hermione. I also absolutely adored writing OCs (original characters), and there are whole fics that don’t actually have any HP characters as main characters. When I started seventh grade, things changed a little. I kept writing Harry Potter fanfiction well into high school, but in the seventh grade, my music scene started to change a little. I had been listening to mostly Backstreet Boys and Britney Spears up until the seventh grade, when I discovered Good Charlotte. The long version of this story can be found here, which also details who Alex the Destroyer is in my writing world. The short version is that since I was already writing Harry Potter fanfiction when I discovered Good Charlotte, I immediately started looking for a community of fanfiction for Good Charlotte. And oh yes, my account still exists, but oh no, you are never going to find out what it is. I will never tell anyone because those stories do not need to be viewed. I’ll probably never delete it, though, so if you do happen to find it, don’t judge me too harshly. Alex the Destroyer was born out of a Good Charlotte fanfiction, and thus became my first ever original novel. We’ve been on a journey, Alex and me. I spent a solid two years working on his novel, wrote 44 chapters that spanned 20 years of his life, and then didn’t return again until two years ago. Walk Among Us, one of the few novels of mine that actually has a title, is about a 17-year-old teenager trying to survive. Alex Hart is addicted to heroin, has a seriously abusive mother, and one day says the wrong smartass thing to the wrong person. His story is one of punk rock music, discovery and perseverance, and what it means to be loved, both by yourself and others. 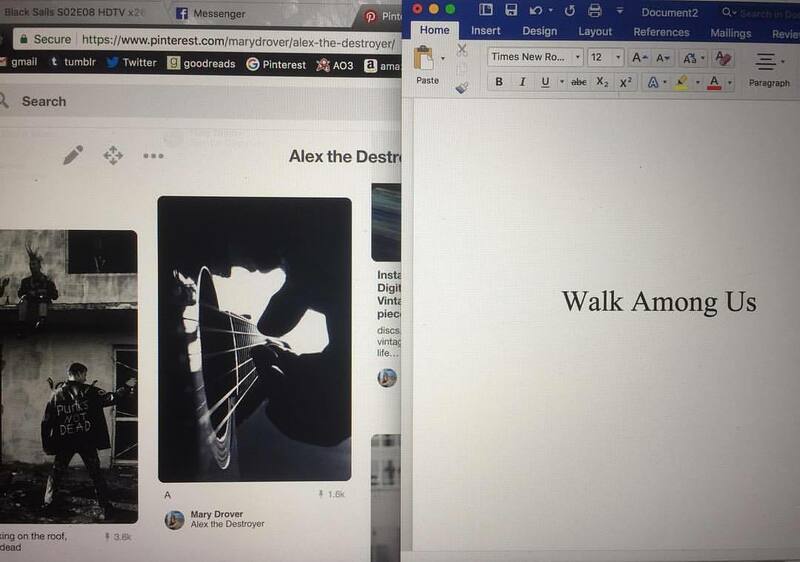 Needless to say, a lot happened in the eleven years between Alex’s first draft and his second. In the eighth grade, I was lying on a friend’s floor, likely wearing a fedora and two belts as happened to be my fashion back then, when I said, “I want to write about dragons.” Thus began a very long, arduous, and complicated eleven years. 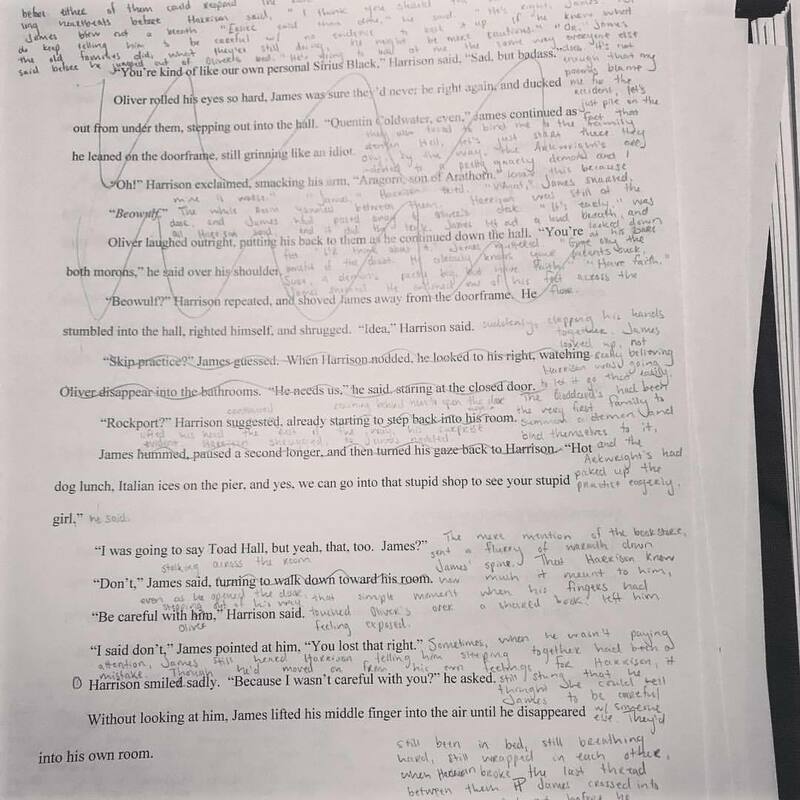 By the end of my sophomore year of high school, I had written the first drafts of the first two novels of Rónán‘s story. I vividly remember the original title for the first book. The Legendary Baibonu. I might be spelling that wrong? Baibonu was a word in my made-up language that meant brother. The Legendary Brothers, seriously? Okay, fifteen-year-old Mary, you do you. At the time, I was taking a creative writing class with Mr. Chiasson, who I adored as a teacher and who very kindly offered to read my novel. I gave it to him, and not only did he read it, he provided feedback. He wrote notes onto sticky notes throughout the novel where he thought I might make improvements. I, very naively, told him that I liked the novel just the way it was and that I was never going to change it, thank you very much. Suffice to say, I spent eleven years writing and rewriting Rónán’s story, and it still hasn’t come to fruition. But in high school, I thought it was the bee’s knees. There were portals that opened in Earth to a different world, characters named Rayne and Drelifoxna, and a whole lot of plot that didn’t make sense. For a long time, it was the only novel I was writing, but it was not the only story I was writing. Enter Livejournal. I can’t give you the link to my Livejournal as it no longer exists, but any and all fanfiction that I wrote while on Livejournal was transferred to my Archive of Our Own account here. Any and all. I’m talking pretty much every Orange County band you can think of that was big in the early 2000s, and all of their friends. Mostly Avenged Sevenfold and Good Charlotte, but also Papa Roach, Atreyu, Mötley Crüe, VersaEmerge, Mest, From First to Last, Simple Plan, many others that I’m forgetting, and oh yeah, that time I just randomly stuck in Criss Angel and Kyle Loza from the X Games? Sure, whatever. Literally anything was game. If I liked it in high school, you can bet your bottom dollar it was going in a fic somewhere. To date, the longest fic I have ever written was an Avenged Sevenfold one, and if anyone reading this knows me from those days, prepare yourself. Rainy Monday. Good lord, I feel so old just typing that title. It was 94 chapters long, a little over 200k words, and I literally only six chapters left to write and never did, and I’m still mad about that. There are four instances of ellipses in the summary, STOP IT. The AO3 version of it really doesn’t do it justice, and part of me wishes I still had my Livejournal so I could give you some truly incredible stats on it, but holy moly, guys, when I tell you that anyone and everyone had either read it or knew of it that was in the Avenged fanfiction community, I’m not lying, I swear. It was insane, the way that story blew up. I wrote a ton of other (questionable) fics during my time with the A7X community, and I have as fond memories of it as I do of HPFF. My last one was posted sometime in my junior year of high school, right before The Rev died. I’d come back to Rainy Monday after a hiatus and was trying to finish it, but when we heard the news, it didn’t feel right to keep writing. I couldn’t keep writing. His death was the end of bandom fanfiction for me, for the most part. For the first year or so of college, I wasn’t really writing fanfiction. I occasionally wrote a few HPFF ones, but I was mostly focused on Rónán. I was working on new drafts of his book where a lot of things were changed, and I was really and truly excited about him. I used to pace back and forth across my room working out different story ideas with my roommate, and would occasionally throw myself on the floor in a fit of despair. For most of my college years, I worked on Rónán pretty steadily. That was, until I met Erin. This wouldn’t be an honest history of my writing if I didn’t talk about Erin. She is very likely the reason I am still writing today, more furiously than ever. When I met Erin, she wasn’t quite the Marvel fan that I was, but that would quickly change. It feels like it was almost overnight that we went from casual acquaintances to best friends, that I went from working on Rónán to writing Marvel fanfiction. And to this day, Marvel is the fandom that I’ve written for the most with at least 100 different fics (this is not an exaggeration, my AO3 puts it at 103). My favorite pairing of all time is superhusbands (Steve Rogers/Tony Stark), of course, though a close second is both science boyfriends (Tony Stark/Bruce Banner) and spideypool (Peter Parker/Wade Wilson). My spideypool series, shake it out, which is still one of my most-read fics, currently has 5 completed works at 120k words, over 2000 bookmarks, around 300 comments, and about 7500 kudos. Oh, I lied, my longest fic is a Marvel one! a heartbeat drives you mad, fondly referenced as the college au, comes in at 260k words, over 100 bookmarks, a little over 400 comments, and a little over 400 kudos. And then there’s raising webhead. 72 fics at a grand total of 100k words, which spanned the life of Peter Parker at age 4 when he’s adopted to however many years later when he’s graduating high school. It has somewhere around 500 bookmarks, 18,000 kudos, and 700 comments. In almost every author’s note, I’ve blamed Erin for the writing of a Marvel fic. She would often say, “oh you know what would be a fun idea?” and we’d gallivant off to see it written. Throughout college, I also wrote Supernatural fanfiction in the midst of binge-watching it for the first time and the same Panic! at the Disco fic over and over again. Post-college, the only thing that I worked on outside of Marvel was a James Bond series with him and Daniel Craig era Q that I still consistently reread about once a year. (Yes, I read my own writing. I wrote what I wanted to read, so of course I’m going to reread it.) It’s a little over 140k in total, and was hecka popular when I first wrote it lies it still is I still get several paragraph reviews for it. About 1400 kudos, over 500 bookmarks, and around 150 comments. I am 98% sure I’m done writing fanfiction, but there’s a 2% of me that’s someday going to go back to James Bond fanfiction. If you’ve made it this far, this is where the fun starts. Writers of the Mark was the beginning of where I am in my writing right now–Thursday Thousand! It was a challenge–write one short story or poem each week and post it so that my friend could provide feedback. I would do the same for him, and it is because of this challenge that I wrote not only Mason, but two full books of poetry. I bet you didn’t know that I wrote poetry! Not a lot of people do, honestly. I submitted one of them once to Alice James Books, but poetry is not something I love a whole ton, and usually something that I write in small bursts. But I have written two, and someday, I’d like to go back and polish them up. the dark is a series of poems that revolves around space. No one is surprised about this. It was written shortly after I discovered that I actually loved space, not feared it. such reverence is fitting is about the fall of Lucifer. No one is surprised about this, either. I have a weird, undying love for the story of Lucifer, and it definitely shows up in my writing here and there. Oh, Rónán. It was time, I said. It was time I went back and did it right this time. Get rid of all the stupid things and actually write the damn story. 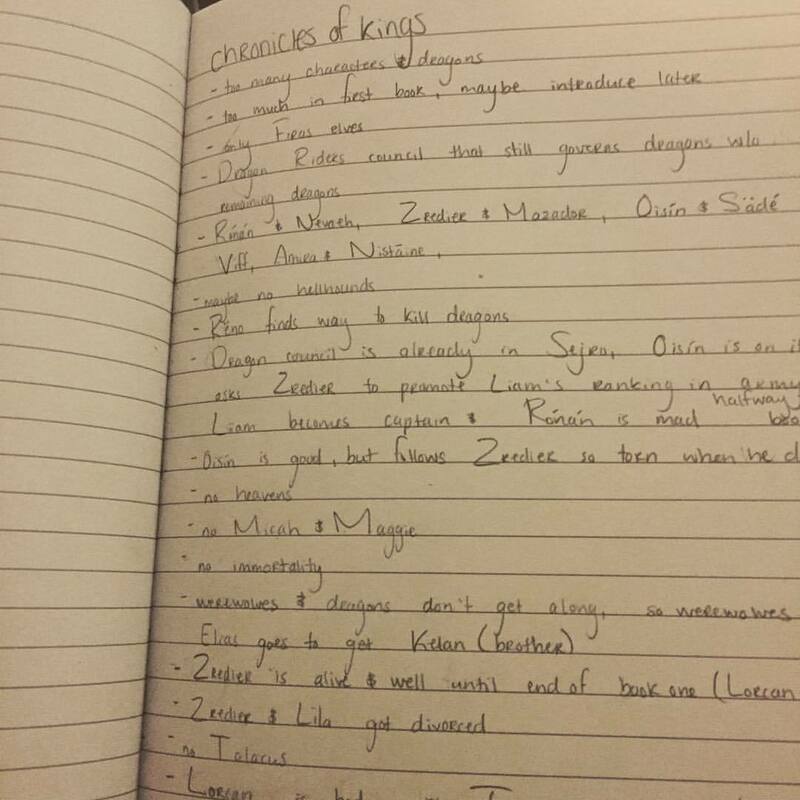 Rónán’s story is still untitled because who knows what it’ll end up being about when it’s finally ready to be written. It is, however, about a boy who never wanted to be king, but who needed to be to save his world, and a dragon that he loved more than anything. It is about a world of magic and adventure where anything is possible, and I promise I am going to write it eventually. I tried, I really did. I sat down, I did the work, and I put my best foot forward when it came to the last draft of Rónán. And whether it’s not ready or I’m not ready, Writers of the Mark helped me let go of it. It’s the spring of 2016, and Mason is about to be born. I wrote four short stories on Writers of the Mark that connected to one another. They were about four different characters. Miriam was first, and, coincidentally, the only one that I knew was a faery in the beginning. She’s connected to the water, and her story has a tragic ending. From there, Leila was born, and I was starting to realize that these characters were connected. Leila was very clearly in tune with the earth, and without warning, she name-dropped Miriam and two other people–Mason and Lukas. Mason came next, Lukas last, and I thought that was the last of it. 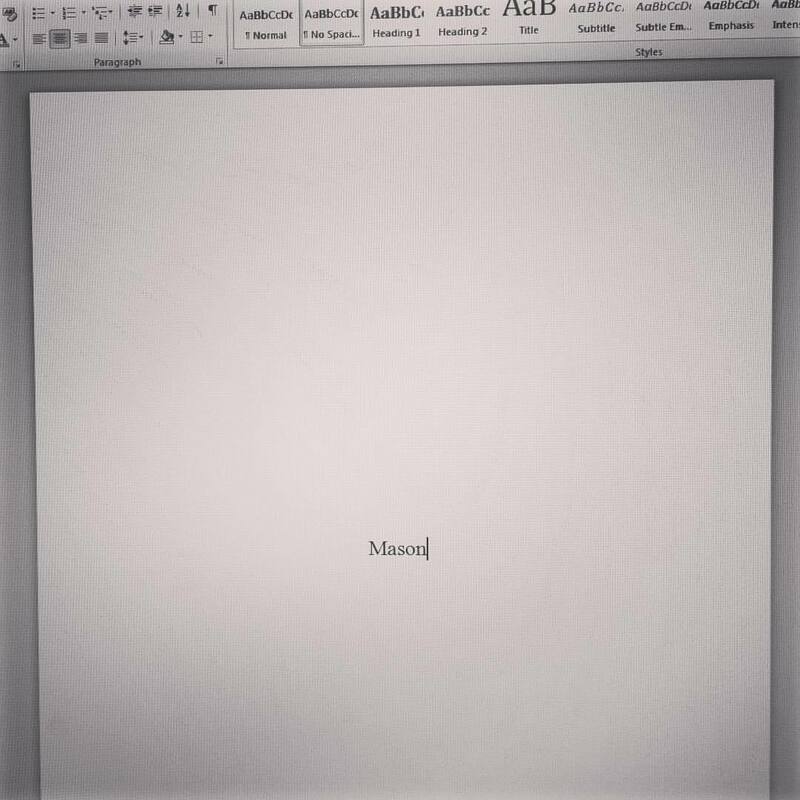 Fast forward to November of 2016, and I spent 18 wild days writing the first draft of Mason‘s novel. Recently, Erin said that she couldn’t keep up with my writing because I did it too fast. And that’s totally true. I write novels like they’re going out of style, and I don’t expect any of my friends to be able to read them as I’m writing them, but Mason’s was definitely the fastest. It was also the first time I’d written something that wasn’t Rónán and original in the last eleven years, so it was pretty rough the first time around. But it was like I’d opened the floodgates. With Mason came so many others. Other short stories that I’d written during Writers of the Mark started transforming into longer stories, one that might even be able to take the shape of a novel. After the second draft of Mason was complete, I started wandering around fervently trying to figure out what my next story was going to be. Truthfully, I probably should have stuck with Mason since it’s now just hanging out in my files, written, but so far from done, and I’m not sure when I’ll get back to it. Mason’s story, also untitled, is about the different elements as they take shape in faeries. Mason, a fire elemental, is about to truly come into his power and connection with the most dangerous of the four elements, and it will be a true war between life and death to see if he makes it out alive on the other side. 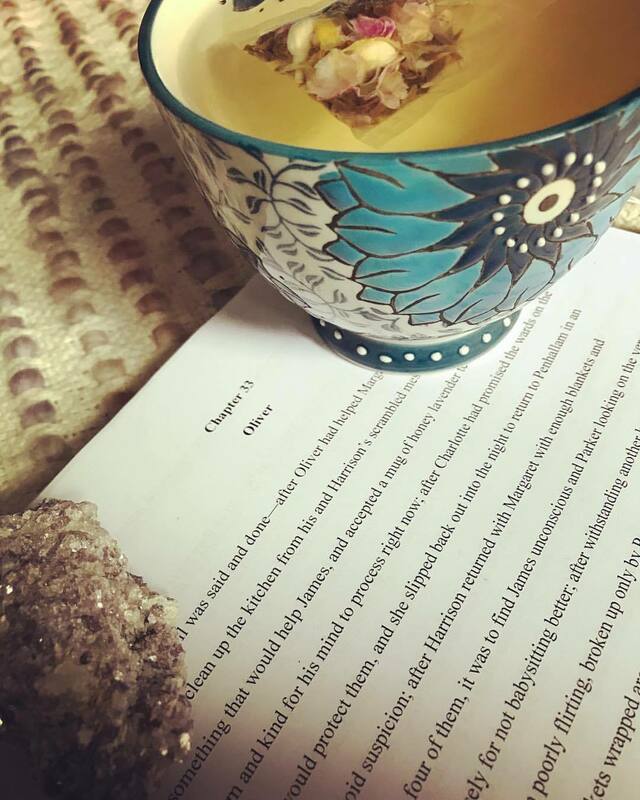 It’s overflowing with faery lore and all of the weird little magic I do in real life like tarot cards, crystals, herbs, and tea, and I love every word of it immensely. I had a brief moment where I started a few different ideas before I finally settled back with an old friend. For the next few months, I would finally rewrite Alex the Destroyer, and he’s now almost done. There are a few things to tweak, but honestly? Alex is ready. The weird thing about Alex is, though, that I’m not sure I’ll ever send him anywhere. Alex has always felt like something for myself, something that I don’t necessarily need to share. Even with my readers, I only gave it to Erin because it was what I was writing at the time, only gave it to Alex because I didn’t have anything else for her. I’m not sure I’ll ever give it to Chelsea or Patrick. I don’t know that I want it to be anything more than a story just for me. But that’s a whole other story. After Alex the Destroyer, I entered waters much more familiar on this blog. Oliver! From May 2017-about mid 2018, I worked on the Pen boys. The long version of this story is here, and the short version is that the Pen boys (all of my novels are untitled except for, like, two) is about four teenage boys who attend Penhallam Academy for Magic, where they get into all sorts of terrible things, like summoning demons, performing rituals together, falling in love, and trying not to die. In real life, you’ll often hear me wax poetic about my Saints characters, but my heart, at its core, lies with Oliver Hollands, the protagonist of the Pen boys. I swear, there’s something heavy and sad and fond in my voice every time I say his name, which is usually oh Ollyinstead of just his name. I frequently carry around sunstone because it’s his crystal. He reminds me a lot of Alex, which is to say that he’s always on my mind, always hanging out. 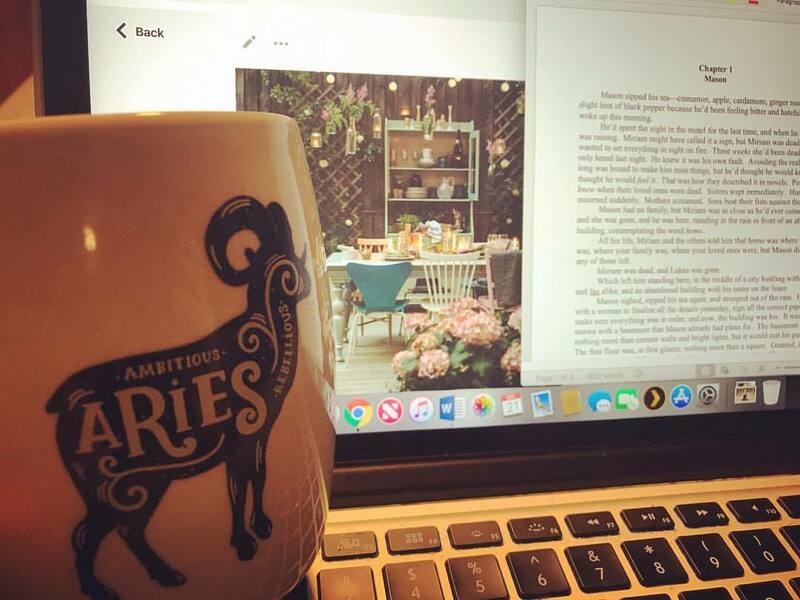 It took me four months to write the first draft of the Pen boys, and then I kind of putted around not doing anything for about three months or so before I fell in love with the Saints. After the initial first draft of the first book in the Saintsverse (prepare yourself for that story, it’s a long one), I went back to the Pen boys to edit. It went through a lot of changes since that first draft, and back then, I knew that even when I was done, there were still a few spots that I wanted to go back in and fix. It started out at 180k words, and eventually made its way down to 132k. The Pen boys and I have some work still to do with each other, but we’ve been on a break for a long time while I’ve been exploring the Saintsverse. I finally admitted some time ago that I was going to have to start from scratch for my boys, and I’m okay with that now. The Pen boys was also the first story to be inspired by something else. I’d long since finished reading The Raven Cycle when I got around to writing the Pen boys, but I’ll be the first to admit that I drew inspiration from there. Most people, when I say that, assume that I mean I have a Ronan, but oh no. It’s Gansey. You don’t even really have to squint at Harrison to see it. 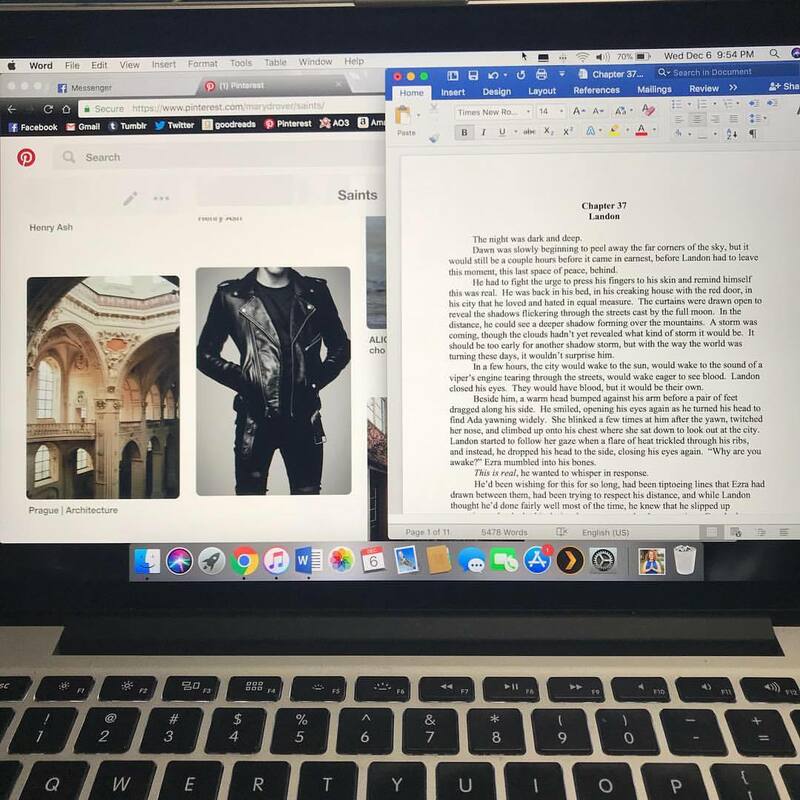 The second story to be inspired by something else was the Saintsverse, which was inspired by the Six of Crows duology. Now, I’ve talked a lot about the Saintsverse on this blog since it was the first one to come to me after I started this blog, so I’m not going to go into it again. If you’re curious, my post about my published short story, A Boy and the Ocean, does a pretty decent job of breaking down what the heck the Saintsverse is. If you’re even more curious, just pick any blog at random in the Saints tag, and you’re sure to get a taste of it. Saints, the very first one, currently with a working title of King of Saints, is about a group of people who are just trying to save their city. Whether it’s smuggling people out of the city who have been targeted by the church or fighting to clean up the streets of the Lowlands, the Saints are hellbent on changing the world for the better. There are currently two other novels written in the series, the sequel to King of Saints, which is another one of those untitled ones because I can’t decide who it’s about, and Saints at sea, now officially working titled The Wolf King. I’m currently working on Saints at sea 2, which will probably remain untitled for a while, too, because I also don’t know who it’s about. There are a few other novels currently planned, like a trilogy about another set of characters, the bastards, whom we meet in Saints at sea, as well as a couple spin-off ideas. The Saintsverse, unlike the Pen boys, is a world I’m currently actively living in and pursuing. I started sending out King of Saints at the beginning of the year before entering a now four-month period of not writing, which has been awful, lemme tell you. It’s thankfully started to break-up with small bouts of writing Saints at sea 2 & bookstore boys (more on these boys later). Once I get my writing brain screwed back on, I’ll get around to sending out more query letters, but we’re paused for now. Confession: when I originally wrote this post, several months ago, I hadn’t yet met a few characters. I was playing with ^^^, but not really. So the adventure has reshaped a little since this draft was started. The Saintsverse was an all-consuming project from about November 2017-now, basically. It’s never going to leave me alone. But after writing the first duology and the first Saints at sea, I took a small step back. I needed to breathe a little. Their stories are dark and gritty sometimes, and I wanted some relief. Thus, sister witches was born. Sister witches is an old, old, old idea that’s taken on several different permutations over the years. Basically, it boils down to me wanting to write about a group of women who practice magic together. Sister witches, sometimes fondly referred to as monsters included, is the final coming together of that idea. 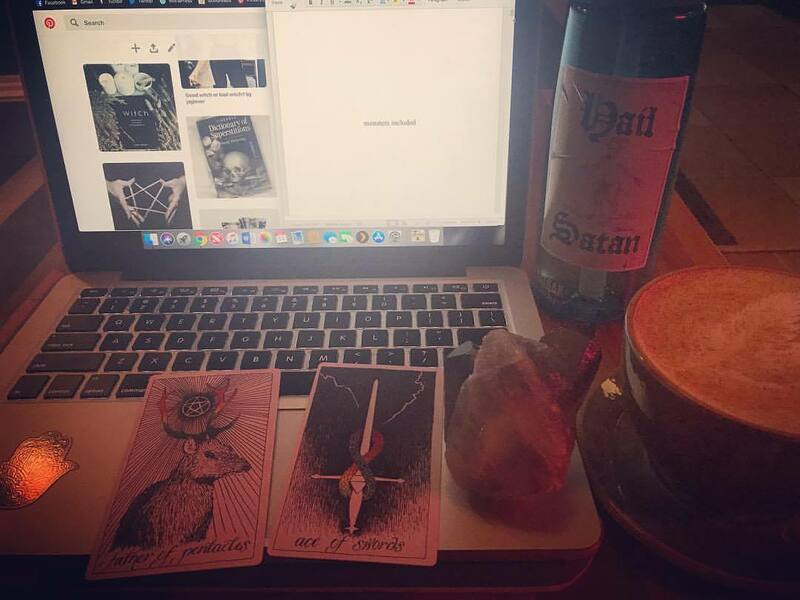 It’s about three witches–Henley, HWIC and total badass; Margot, lover of bees; and Adelaide, aesthetic af–and their accidentally summoned demon, Theodore. Does it sound campy? It is. It totally is, and that’s the point. I mean, they accidentally summon a greater demon in the middle of Salem. It’s meant to be kind of a joke, but it’s also a lot of fun and has a ton of serious moments in it. That, and it’s one of the first novels I’ve written where more of the main characters are women than they are men. I posted my only writing picture of thieves at the very beginning of this because it’s where I am currently. In the last two days, I’ve edited the first 14 chapters again because we watched Call Me By Your Name this weekend, and I decided thieves wasn’t French enough. Thieves, normally referred to as bookstore boys, is my second non-magic story, and it’s about two best friends–Will, sad and soft, who works at my favorite (now closed) bookstore in Rockport, and Émilien Nicolas Bellerose (WHAT A NAME), heir to his father’s massive farm, who loves reading and Will. It’s the quietest little book I’ve ever written, and I find myself sometimes just smiling fondly about it. Currently, I write a lot. I also read a lot. My creative life is pretty amazing, and I am very, very happy about that. I’ll definitely probably end up type-casted as a YA urban fantasy writer with only queer characters, and I’m not mad about that in the slightest. It’s what I love to read, and thus what I love to write. I write what I want to read. My writing life is much more unpredictable now, too, than it was when the only thing I had to worry about was Rónán or Alex. Now, anything is possible. A wild traipse through the woods about five teenagers who get lost hiking the Presidential Range in the White Mountains? You betcha. Teenagers named after planets and with their corresponding planet’s features making them anything from fiery and angry to quiet and faraway? Duh. A powerful woman captured by a witch hunter and then forced to live out her days in a cage until she realizes just how powerful she can be? Jen, I promise, it’s coming. A bunch of thieves space opera hopping between a dying Earth and a brand new solar system? Oh my god, yes. VAMPIRE DETECTIVE? Dude, someday. Whatever the hell comet novel is going to be about? When I’m older and wiser. Charon, gatekeeper of the underworld, but as a sad, soft, gay young adult? Not even kind of kidding. Always, always, always more of the Saintsverse? Always. I started writing when I was twelve, and I don’t plan on stopping anytime soon. Like a good friend reminded me the other day, you’re never too old to publish your first novel. Great to read your writing journey! And interesting how it blended fanfic and original fiction. So agree that you’re never too old to publish your first novel! Thank you! Fanfiction is such an important part of the journey—it’s how so many people started writing, it seems.